We always need changes in our life and the same applies to the gadgets and technology tools we are using. 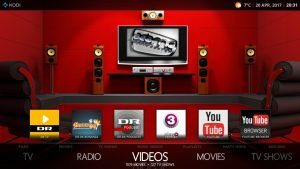 If you are tired from the look and interface of Kodi and want to change it to something new, then you are at the right place. This is quite simple and easy to customize Kodi Media Center interface by simply adopting the best Kodi skins i.e. 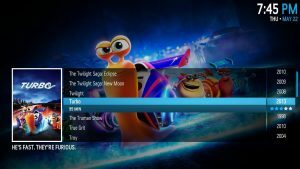 Kodi themes latest from April 2019 skins library. You can change the interface to the one for which you are dreaming. Like if you are a movie fan, then you can find out some skins that will be enough for your taste. 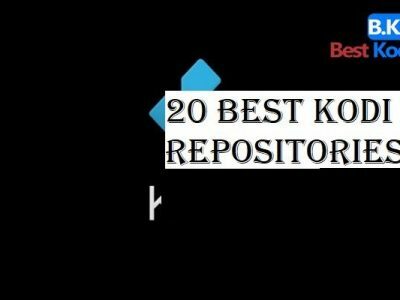 In the same way, you can find out some other amazing and best Kodi skins 2019 with various flavors. 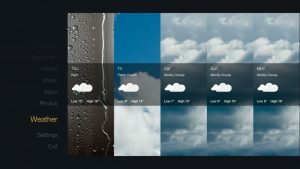 It is quite simple to change the skin of Kodi, but the main problem is where to find the best one that suits your color ideas. Keeping this point in mind, here we have done a lot of homework and research over the web and Kodi forums. We are all ready to express and display our findings here with you guys so that you can go ahead and start using one on your device. 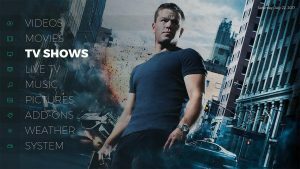 Below in this article, you can find out the best Kodi Skins April 2019 list that will be enough for your requirements. 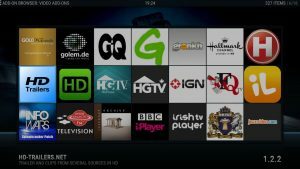 These 29 Kodi skins are verified and tested by our team. You can click on any name and it will redirect you to the skin page on official Kodi site. 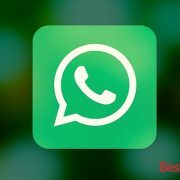 Then you can download it from the trusted source without any hassle. 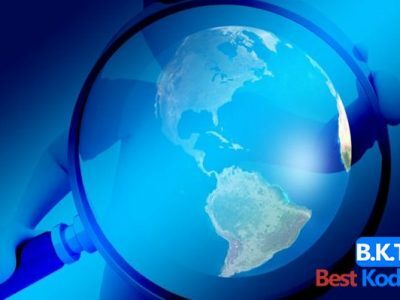 Here is the list of Best Kodi skins for April 2019 you might be interested in. 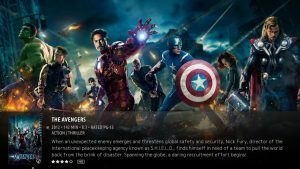 There are lots of useful and attractive elements of Fuse Neue Kodi Skin for movies TV shows lovers. You will like the representation of icons and other elements after adding this Skin to Kodi. 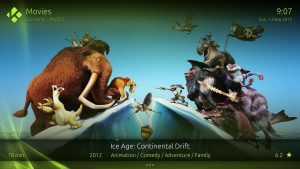 Adonic is a new Kodi skin designed for Kodi 17 Krypton. It shows all the media information like release date, rating, genre etc. It also gives info on the cast as well. 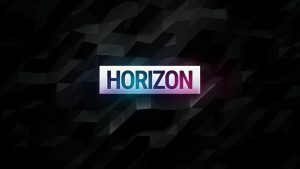 Aeon Nox is one of the top and best skins for Kodi in the current time. 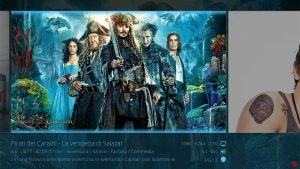 This is a beautiful skin and after installing it will paint your Kodi with Ocean Blue interface. The skin is light weighted and the size is only 10 MBs approx. This skin can be downloaded from the official website of Kodi. Amber skin is similar to that of Estuary Kodi Krypton Skin, which is the builtin skin for Kodi 17 Krypton. But after installing this one, you will find some light effects that will be different from the default Amber skin. The choice of colors and the user interface will make you fall in love with this one. Andromeda Skin for Kodi is a heaven if you are watching videos on HD TV screens. 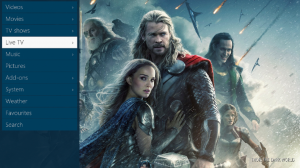 The skin is available in the official Kodi skins library and you can download it from there. If you have an HD screen or want HD content then try this one. The interface of this skin is totally based on the tvOS. 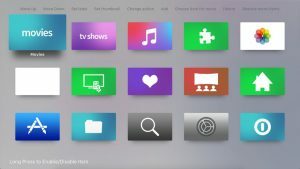 Install this one to your Kodi if you want lots of vertical menus, colorful icons etc. This skin works properly on all screen resolutions. Arctic Zephyr is the combination of white and grey colors with a cloud type image on the menu. It provides a bright and attractive feeling to the end users. It offers you a horizontal menu. Bello 6 is an old skin and is available for many years. But its look changes with each passing year. 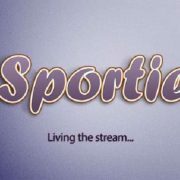 Every new year it revamps itself to provide Kodi users with best streaming experience in a new and customized interface. 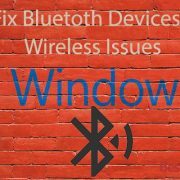 If you Windows user then Black Glass Nova may not be a surprise for you. 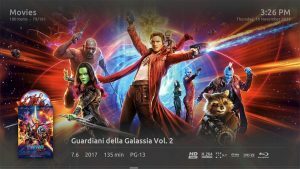 It is a new Kodi skin from 2018 collection that has a similar user interface to Microsoft Windows Vista. It offers you two modes, one is the black glass theme and the other one is the same black theme with smaller tiles. You can switch between these two. 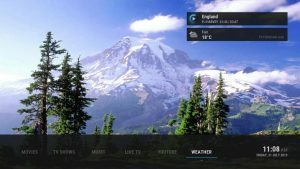 This Kodi skin gives a nice and catchy look to your Kodi settings. Box has a very nice, simple blue interface with icons without images. The drawback of this skin is that there is no addon menu. The only good news is that it gives you an option to play files and hence it is great for those who play files. For all other users, there is nothing handy in it. Chroma is a simple and Crystal clear skin for Kodi media center. If you are looking for a Crystal Clear skin, then this skin will be the best option for you. 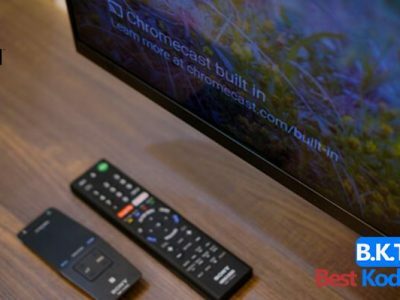 Chroma is basically designed for HD TV screens and works perfectly on high-end devices. The Chroma skin can be found and downloaded from the official Kodi library available on the Kodi TV website. It is actually the default skin for Kodi but is considering the best one for Android devices as well. 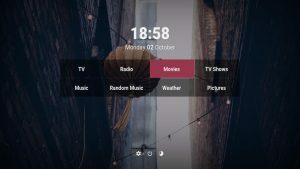 Confluence is the default interface for Kodi and I think it is the reason why many people still like using the Kodi Jarvis and this is due to the simple and user interface of this skin. Eminence has a black background with white icons that turn light blue when selected. 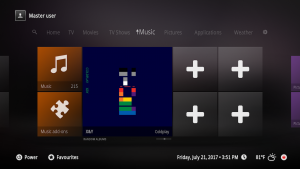 Its menu is horizontal, making it more familiar to users of the old Confluence skin that was the default for Kodi Jarvis. However, all of the menu items can fit on one screen because they are so small. This makes it easier to get used to for users more familiar with vertical menus. We recommend you to use FTV Skin and this is based on our own experience. It is actually the replica of Fire TV and Fire Stick. If you are using Fire Stick or Fire TV device and want to try it out on Kodi, then this is a must try for all Kodi users. 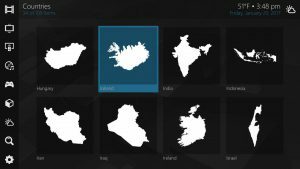 The grid is a known skin for Kodi. It offers the menu in a great presentation. The main menu text is large and easy to read. The main menu of addon is broken down into subsections for different addons types like video, music, sports etc. 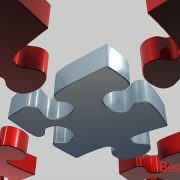 The submenu presentation helps you to easily navigate through addons. This one of the most suitable skins for TVs. This not quite a fresh one, but the feedback from the end users keep it new and fresh. 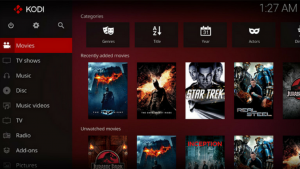 It is the highest rated and highly usable skin in the Kodi world. Due to its beautiful appearance and user-friendly and more attractive UI, Metropolis has a visual place in the Skins. There is only one drawback of this Skin is that it is really a high sized theme and yet need a lot of time, resources while installing and setting it up on Kodi. The latest version is quite informative as they have done a lot of updates in the new version of Metropolis. The user interface of this skin is not too much different from the Default Skin of Kodi 17 Krypton. If you are looking for this type of simple skin then there is nothing better than Mimic. Mimics is really a very nice and easy to use skin with better animations and enhancements in the latest version. The size is really light and you will be able to easily install it on Kodi in no time. Nebula is a rich skin with respect to its features. It works well on HD TV screens and offers various options for customization. 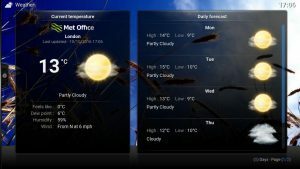 With Nebula, you can customize home items, Live TV, Touch support etc. It works smoothly although the design needs some improvements. Omni as a skin lacks some customization options but it makes up for that by having a clean and clutter-free design. 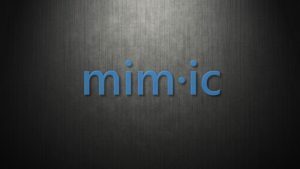 Some elements of Mimic may be spotted but with a more icon-centric approach rather than a descriptive approach. If you want to implement a simple and clean interface then you should go for this skin. 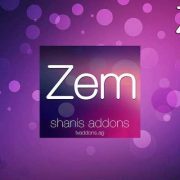 The Pellucid skin provides you a left menu with all the information and sections of any addon. 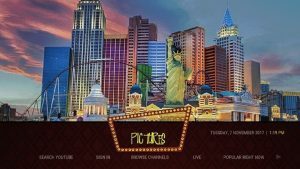 This Pellucid Skin is perfect for all those Kodi users who like to enjoy live streaming over Kodi as there is nothing better than Pellucid when it comes to the live streaming Kodi media center. 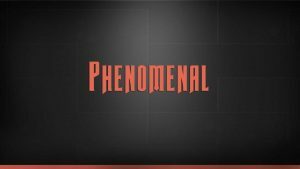 Phenomenal change the complete look and interface of Kodi including the menu appearance, menu icons, different viewing options, grid and list interface etc. Rapier gives you a simple and clean look. 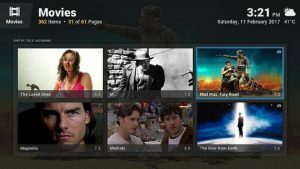 The amazing and eye catchy interface helps you to browse more and more media content on Kodi. Performance, usability and flexibility are amazing when it comes to the customization. 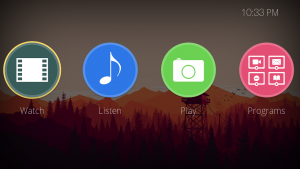 Revolve allows the icons on Kodi to spin and rotate. You can also customize the way the element rotates. 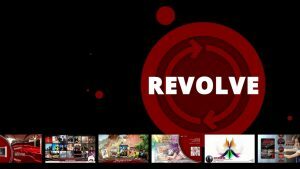 The word “Revolve” is from the revolution and hence you will taste something different after installing this skin onto Kodi. 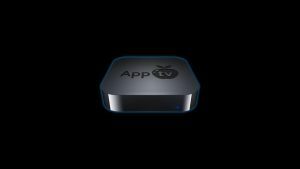 Apple TV is the best media player but yet expensive and not affordable for most of the Kodi users. But if you are in love with Apple TV then you are supposed not to worry about this as now you can easily change the interface of your box similar to Apple TV with SiO2. 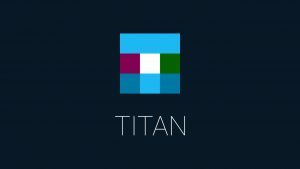 Titan Kodi Skin offers you multiple color choices and it is quite informative skin ever created for Kodi. 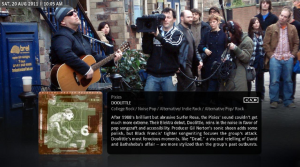 For the media files, it provides a complete picture of all the streaming content. After adding it to your Kodi, it will be easy for you to pick the best content for streaming. This skin is considering perfect for Android devices in particular. Transparency is a famous skin for Kodi which offers lots of customization to your system. Such as it adds the custom home items, TV shows logos, vertical home screen menu, background options etc. The user-friendly and reliability makes this one visible on the Skins library. 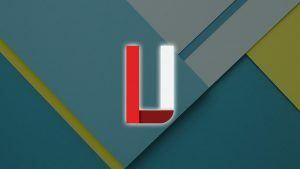 Unity Skin for Kodi offers you a very simple horizontal menu but with a simple user interface. This skin looks great due to the movie posters showing on the Home screen of Kodi. If you are a movie fan and want a decent skin then we highly recommend using this one. 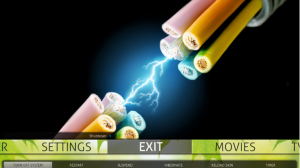 This skin normally used to enhance the general interface of Kodi home. In case you’re a Windows user, you know all about its Metro visual style. If not, launch any Windows 10 app and you’ll see how they are built. They use modular blocks and many of them allow you to move from left to right. This is very similar to how Xperience 1080 works. 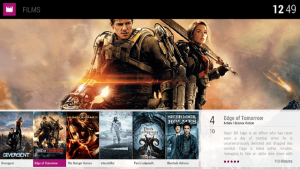 Even though it doesn’t copy Windows’ Metro, Xperience brings modularity to Kodi. The prevalence of squares and rectangles provides clean-cut looks. 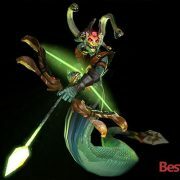 You should also know that this skin requires a bit more powerful processor. 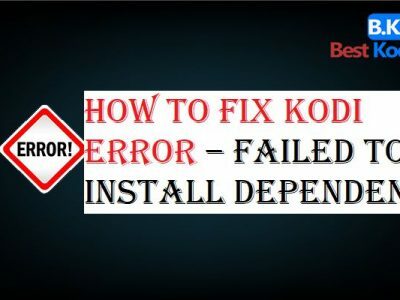 So, it’s best to install it on a powerful Kodi box or on your computer. 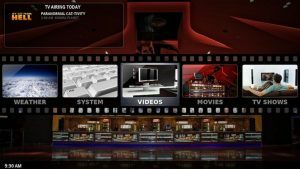 Las Vegas Skin for Kodi contains all the famous places of Las Vegas as Kodi wallpaper. If you want to explore Las Vegas while using Kodi then go for it. Furthermore, it gives a new simple look to your Kodi interface. 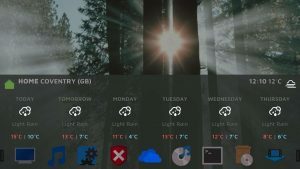 If you want to totally customize the user interface of Kodi and at the same time want it to be the simplest and easy to use then Maximinimalism Kodi skin is the right choice for you. Try it as it is very light weighted and smooth to use and hassle-free to install. This skin is highly recommended by lots of Kodi users across the world and you will be one of them in the future. The user interface of Black Row is similar to that of iOS and OS X, but it works on all streaming devices and boxes. No matter what is the box you are using, you will find it helpful and unique due to the home cinema pleasure of this skin. Actually, Titanium Skin is not the one, but yet the most famous one. This skin works smoothly on any Android device. This skin is supported by all video, programs, and music Kodi addons. Titanium skin is love when you stream videos and music. So go for it, if you are a big fan of movies and music. If you are the fan of old movies, then Classic Movies seems to be the right choice for you. It brings you all the old movies from the Kodi add-ons available right now. It also offers you descriptions of these movies as well. This Skin is developed for the Kodi Leia 18. If you want the latest themes, Kodi Leia, then there is nothing better than the Aeon MQ5. However, as we all know that Kodi Leia is not available in the stable version and still it is in the beta version, but the good news is that this Skin can be available in Leia right now. You can add themes to the latest version of Kodi 18 according to your preferences. Ace Skin works perfectly on Apple iOS as well as on Kodi. It supports lots of customization. This skin works perfectly on all add-ons, but there are some faults while using it with Live TV. This might be a disappointment for you guys if you are a fan of Live TV. On the other side, it is the fastest skin ever developed. 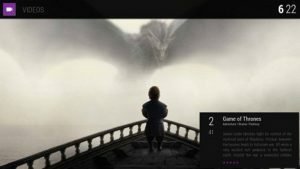 This is a low sized skin for Kodi and behaves very well on all platforms. It gives responsive and a very detailed and user-friendly interface to your system. This skin can be controlled with any device even on touchscreens. The Aeon is just like Confluence which is a default skin for Kodi. If you like Confluence, then it is sure that you will also fall in love with this one. This skin looks very stylish and attractive. The skin looks good and is compatible even with smaller devices. Re-Touched or Retouched is basically well-known for touchscreen devices. This works well on android tabs and even on Windows and Linux OS. This is actually the new version of the old “Touched” Kodi skin. Some excellent features such as the bright colors, user-friendly interface, and access to almost everything from the Home screen makes this skin catchy. 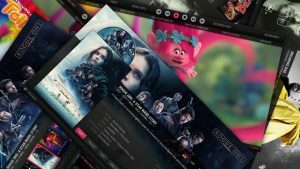 Eunique skin is available in the official Kodi repo and can be download for free. 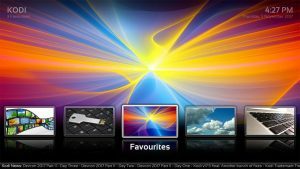 KOver also was known as Kodi Overlay. 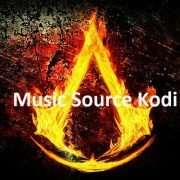 It is a different approach to Kodi Skins. The design is pure and unique with lots of customization options. There are WYSIWYG editor and a color tool. The black and white interface of Eminence makes this one different from all other skins for Kodi. It offers you white icons on a totally black background. The icons turn blue when selected. The menu items are small and can be fit on a single screen. The size of icons makes it more efficient and usable. 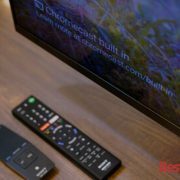 ReFocus works well on touchscreen devices such as smartphones, smart TV etc. This skin supports vertical menu. 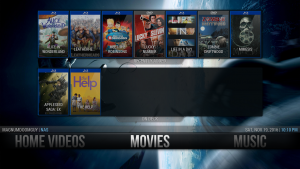 It also allows you to customize the menu on the Kodi home. Furthermore, you can also customize library etc. 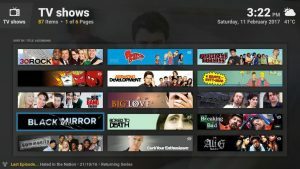 It also keeps a track of all the episodes you have watched or you are watching. KOver 2 is a right choice for those who always think about future happenings in technology. This skin is highly customizable. You can easily customize almost all the options available on Kodi with the help of KOver 2. If you are a fan of Angry birds then Try the Angry Birds Movie as a new interface of your Kodi device. This skin works well on both Kodi 16 and Kodi 17 Krypton versions. Like its name, you will find an Angry bird like them all over the Kodi.